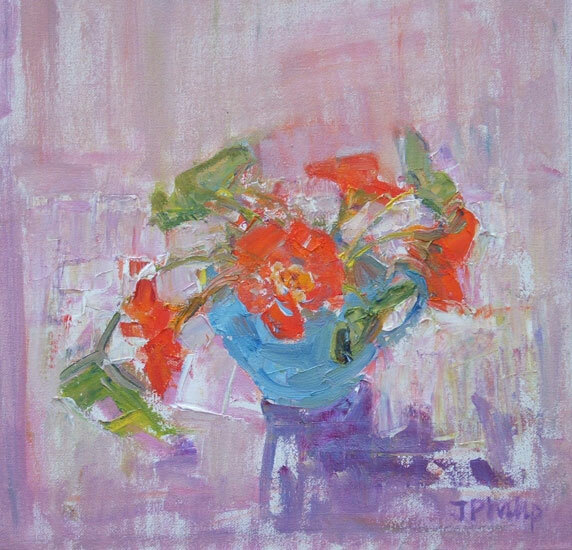 J.Philip was born in Edinburgh in 1961 and studied Fine Art from 1978 – 1986 at Gray’s School of Art, Aberdeen, Wimbledon School of Art, London and The Royal Academy Schools, London, attaining BA 1 MFA. 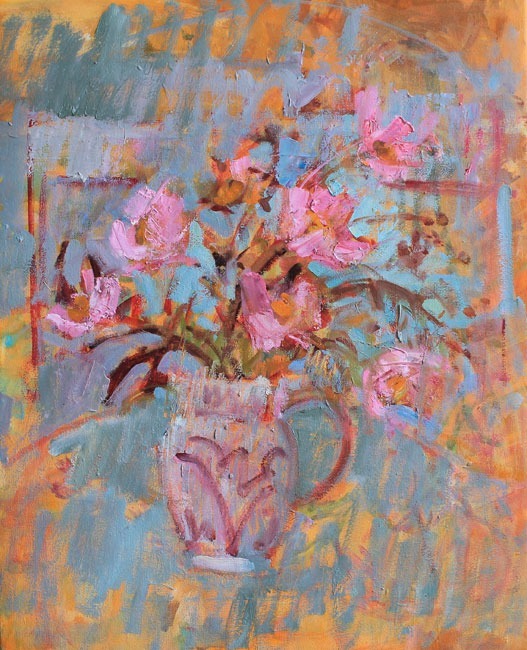 Since completing her postgraduate studies she has been painting fulltime as a professional artist and lectured in London, Florence and Auckland.She is also the recipient of many prestigious scholarships and awards including The Italian Government Scholarship, British Institute Fund and RSA Hospitalfield Award and Residency. 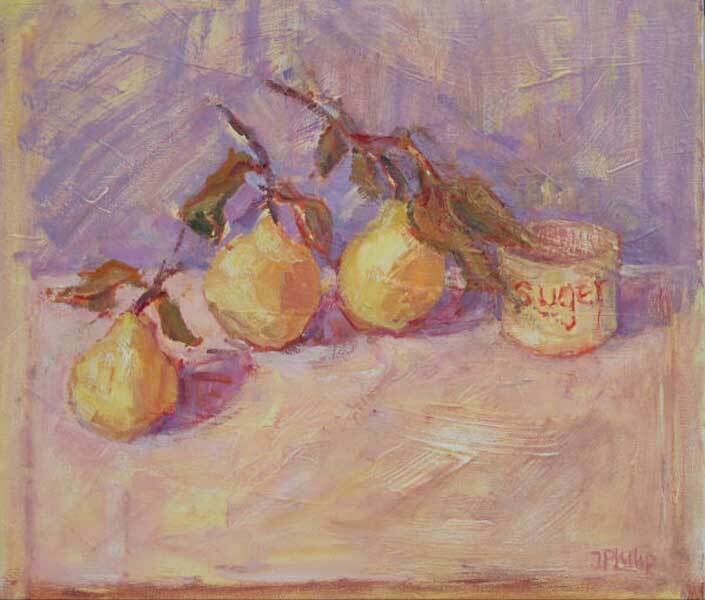 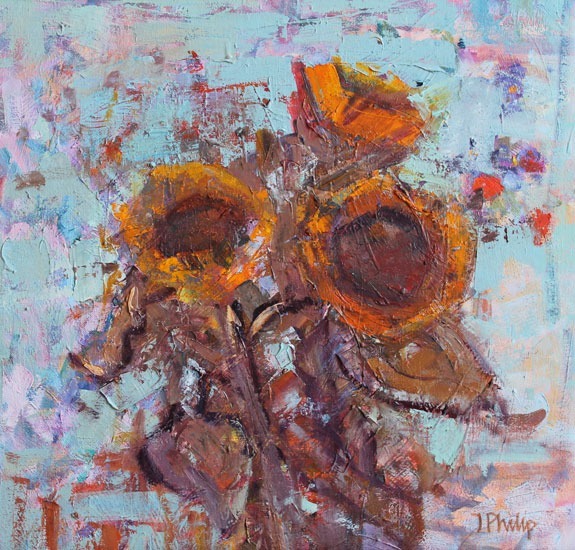 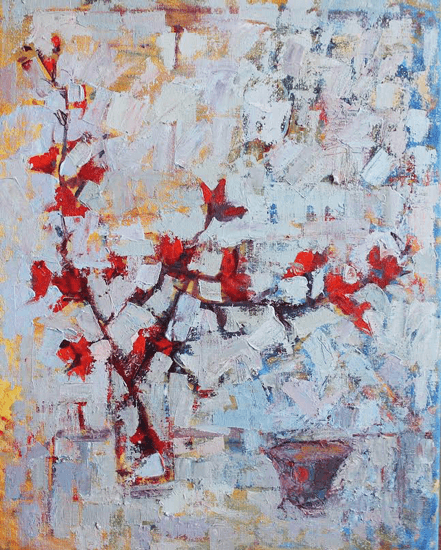 J.Philip’s paintings are in the genre of Still-Life and Landscape and are created using raw pigment and oil on canvas to create a rich tapestry of colour and luminosity of light. 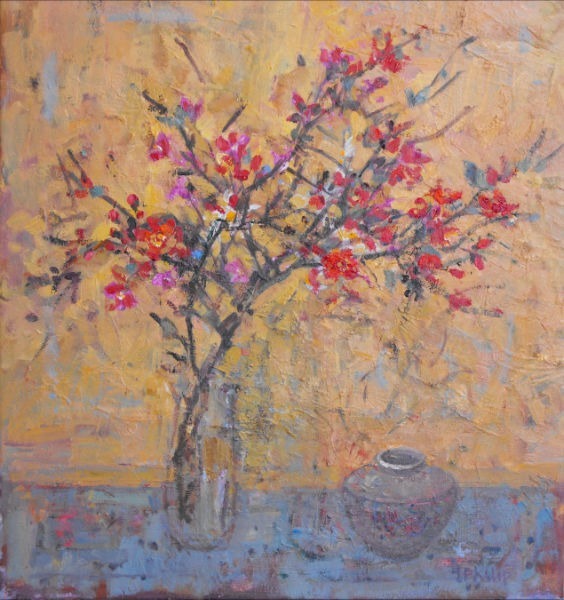 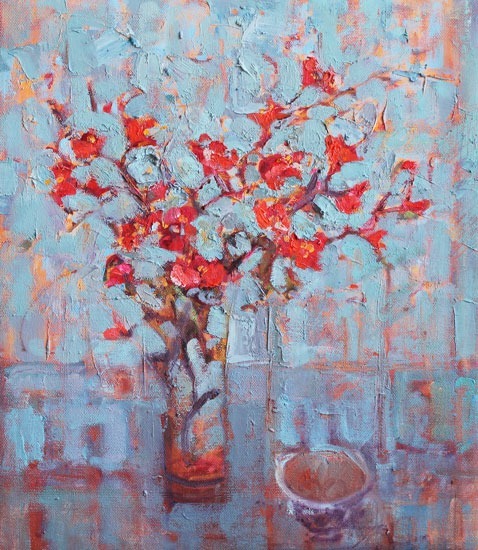 The images are informed by a variety of cultures and influenced by her travels in SE Asia and Europe, as well as her native Scotland.She has exhibited widely in the UK and abroad and her paintings can be found in corporate and private collections in the UK, Italy, Barbados, the Americas, Hong Kong and Australasia.